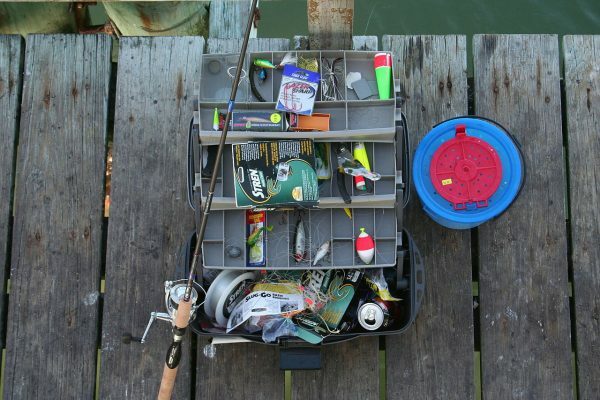 Collecting fishing gear is just something anglers do. If you think you have enough lures and plugs, think again. You can always use more. While there are dozens of products awaiting their debut this year, we’ve narrowed the list down to four that you should absolutely be saving up for. The Pflueger President is as household of a name as fishing tackle comes. Pflueger’s trusty President is a durable, long-lasting reel that won’t break the bank. For 2017, the XT received a major upgrade. The new model offers durable carbon side plates, an externally adjusting magnetic braking system and nine ball bearings to make it one of the smoothest reels on the market. Furthermore, you’ll find slip-resistant and ergonomic cork knobs that give the reel that little something extra. Whether you’re looking to replace an old reel or simply add another combo to your arsenal, the President XT deserves a look. To some, a new swimbait line is nothing new, but for those familiar with Live Target’s already impressive line of lures, a series of soft plastic swimbaits by the company is a dream come true. Like Live Target’s other baits, the swimbait series was crafted to perfectly replicate actual forage species in fine detail. In the series you’ll find a factory-built internal weight system, a dorsal fin that doubles as a weed guard and the cherry on top: an oscillating tail with a paint pattern unique to each species. This means that the yellow perch swimbait moves like an actual yellow perch would, while the other patterns move just like their namesakes. Be excited. Brand new to the fishing world, Angler Labs made a big splash at this year’s ICAST, where it launched the AngLR Tracker, a device that syncs with the free AngLR fishing app. Fixing the device to your rod and syncing it with the app allows you to track weather, lure selections, fish caught, catch rates, hot spots and a ton of other information. Logging information and tracking patterns can vastly improve your success on the water and the AngLR tracking device and app tandem takes this to a whole new level at the push of a button.